Mention of the Hapsburg Empire conjures up images of Mozart, Viennese waltzes, and Austrian Dukes. But outside of the aristocratic musings in the capital, Vienna, a vast empire was stitched together over the years through various alliances, allegiances, and wars. While todays map of Europe may make this easy to forget, at one time the Hapsburg Empire controlled vast swaths of Europe, including a large portion of the Balkan peninsula, an area I visited in April, 2010. On an invitation from a fellow colleague who lived in Croatia, Toni Frankola, a speaking team of Joel Oleson, Paul Swider, and I set off for Zagreb to speak at an event there, with the final destination of our trip being a large conference to be held in London a few days later. No Problem! 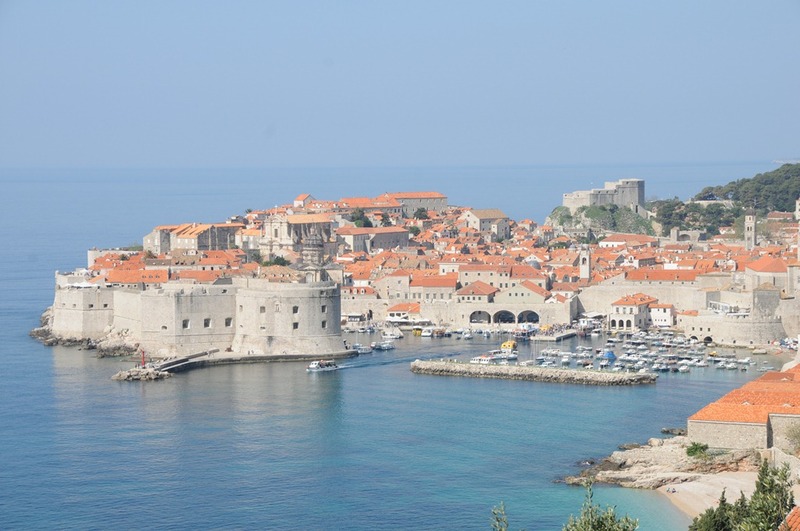 We figured we’d tour the area, then fly from the city of Dubrovnik to London the day before the event was to begin. As can probably be ascertained simply by reading this blog, I tend to be a fairly methodical logistical planner when it comes to my trips. All the logistical planning in the world can’t help you, however, if a massive Icelandic volcano spews ash all over Europe, shutting down nearly all flights across the continent over the period of a week. And as a result of this turn of events, our journey changed from a leisurely trip to London into a frenetic journey across Europe to escape the Ash Cloud. 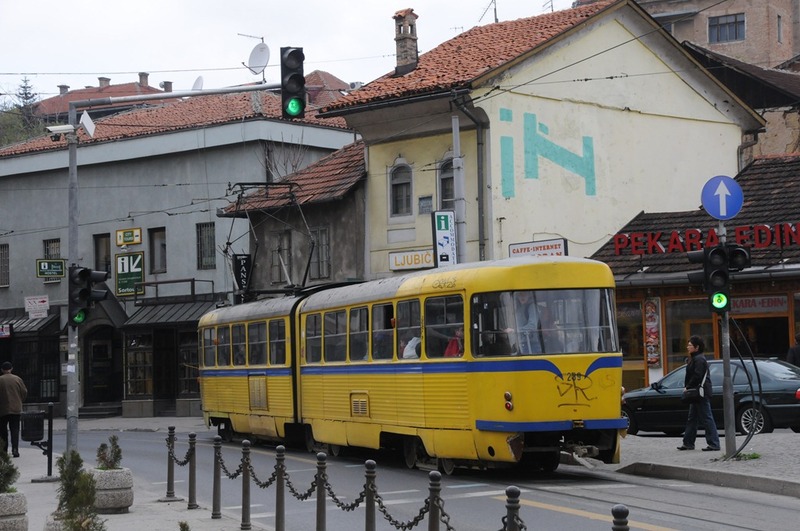 That, however, is another blog post, as I must first start the story in the Balkans, where it all began. Our plan for the Balkans was simple…our Croatian friend Toni would rent a car in Zagreb, and we would all drive over the course of several days through the countries in the area. By the end of the trip, we had logged over 1700km, visited six countries, and crossed 14 borders in the process. We passed through the historical border of Christian and Muslim Europe, saw the fresh scars of the Yugoslav wars, and talked our way out of several fines in the process. This was one of those epic trips that we still talk about and that still influences our travel plans today. 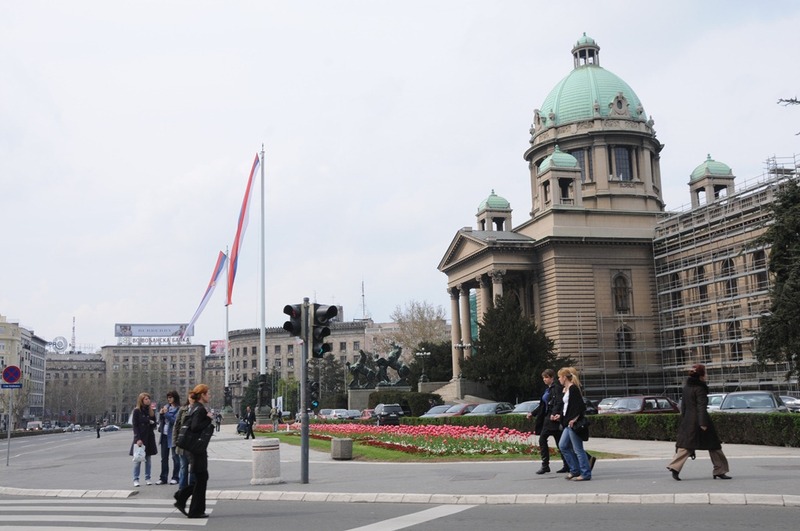 Our first major stop (apart from the brief speaking stop in Zagreb) was the Serbian capital of Belgrade. Out of all of the places on on itinerary, this was one where we were the most skittish about going to, what with the recent history between Belgrade and the US. How would the Serbians react to a group of three Americans and one Croat? 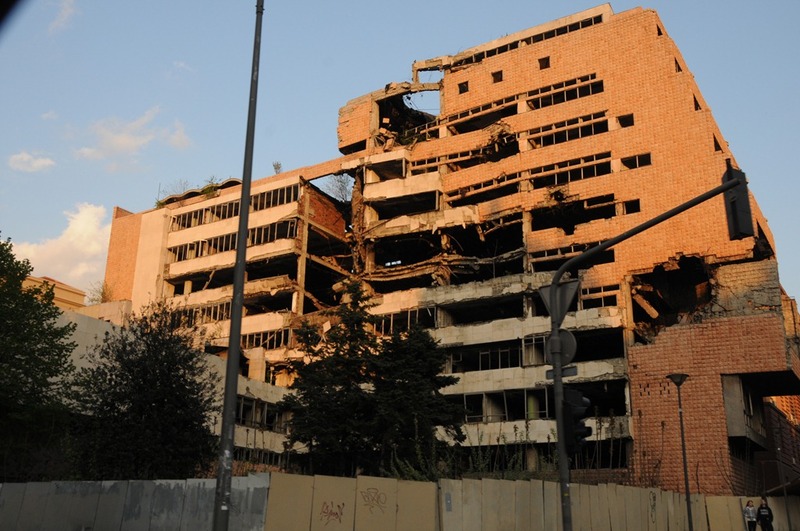 Serbia, at least officially, is still quite bitter about the bombing raids in 1999, and has left several major buildings that were bombed as memorials of the conflict. 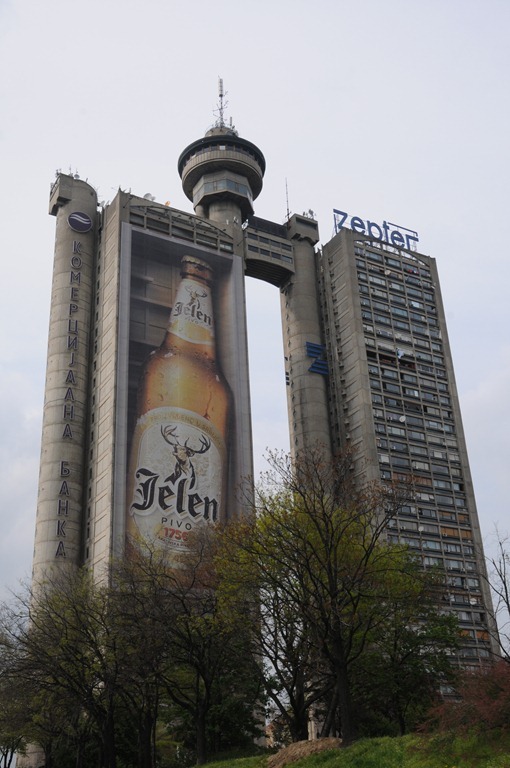 These buildings are in obvious major locations in Belgrade, and were foreboding sites to witness. Turns out that we really had no issues in Belgrade. The Serbians we talked to were happy to help us find places to eat, give us directions, and were curious about our trip. 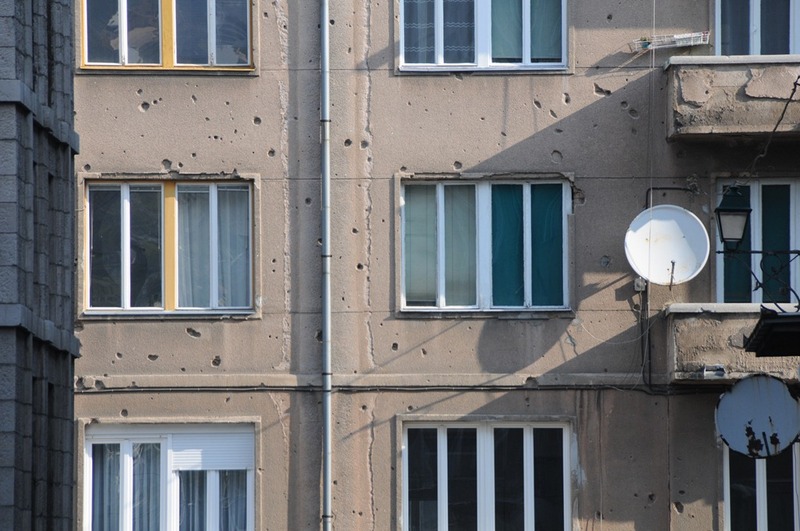 Granted, we didn’t discuss the war, or get into any political conversations, but all in all the Serbian people on the street, at least outwardly didn’t display any open hostility to us. That evening, we ate at a phenomenal Serbian restaurant called Zlatar, a local joint with live Serbian national music and some amazing local Serbian meats and strong Rakia. After the meal and the long day of driving and exploring Belgrade, we crashed for the night, exhausted from our first full day of exploration. The next morning, over breakfast, my friend Joel noted how close the country of Romania looked on the map from Belgrade. 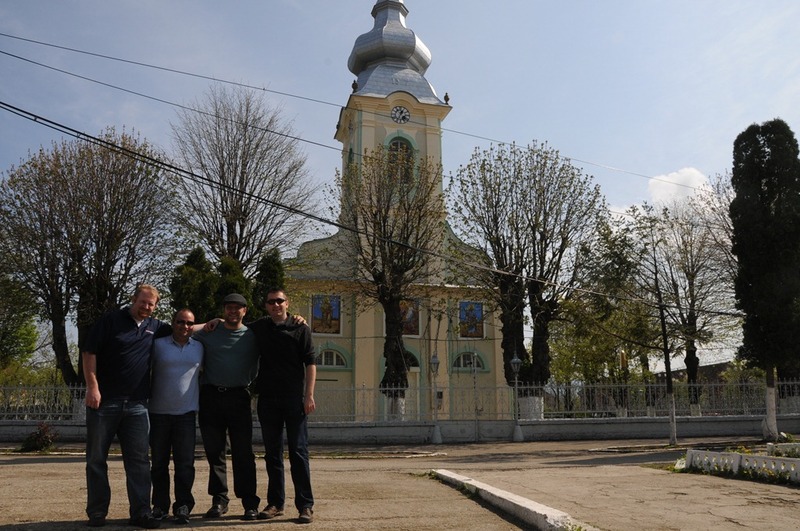 “Why not visit?” we figured…and so quickly changed plans and drove off to Romania! 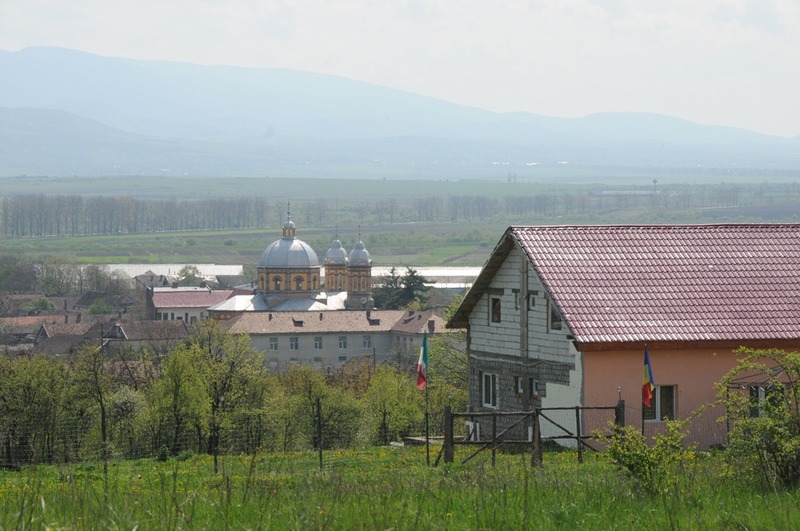 After a longer than expected drive east, we reached the border and passed into the very agrarian Southwest region of Romania. 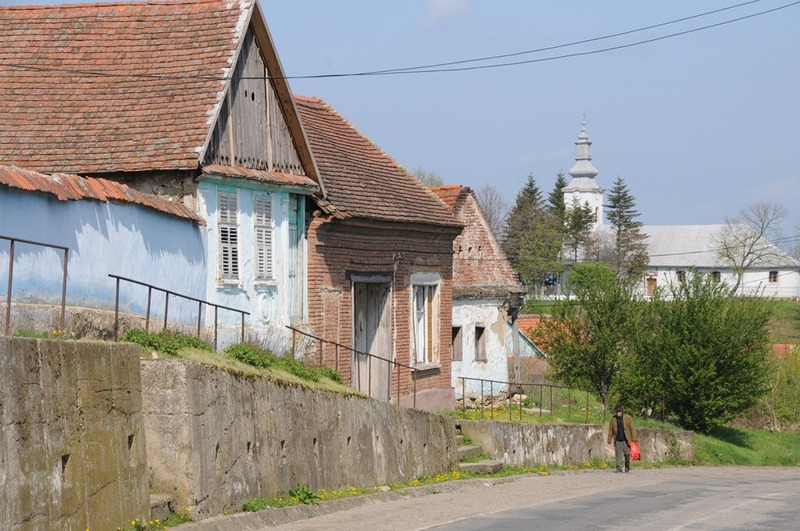 This part of Romania was very pastoral and very agricultural, with large rows of fields and occasional villages scattered throughout. We attempted to communicate with some of the locals, but it was obvious that English was not commonplace in this region, and the best I could do was to get some ideas across by communicating a few words in French, the closest language to Romanian that I knew a bit of. Considering this was also once part of the Hapsburg empire, Toni noted how strange it was that this close to his home in Croatia yet the language and culture was so different. Romania also gave us a few issues to deal with that required some ‘negotiation.’ First off, we were stopped at a random police checkpoint, which ended up being a non-issue as I think the police weren’t sure what to do with this Croatian car full of Americans. The second, and more significant issue was that we were initially not allowed to cross back across the Romanian border into Serbia as we didn’t have the appropriate ‘road tax’ sticker on the car. After some negotiation, we got out of that situation too. All in a day’s work in Eastern Europe. 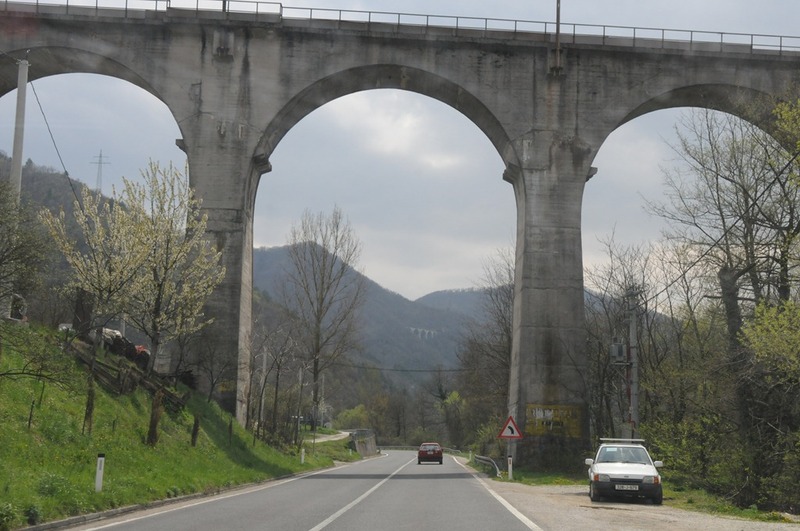 Our next destination was the independent nation of Bosnia and Herzegovina (Bosnia-Herzegovina,) but first, to get there, we needed to pass through a quasi-independent federal state of BH known as Republika Srpska. 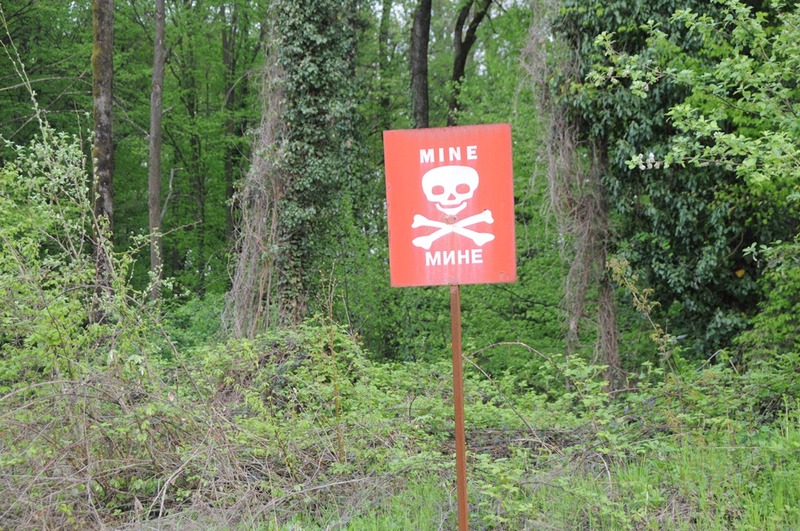 Oh, and did I mention there is an active mine field near the Inter-Entity Boundary Line (IEBL) that divides Bosnia-Herzegovina from Republika Srpska? Needless to say, we didn’t venture far into the woods here. Republika Srpska is one of those political units that has its own capital (Banja Luka), constitution, and its own executive, legislative, and judicial branches of government. It’s not internationally recognized, however, and rarely shows up on maps. It’s just one of those strange quasi-countries that shows up on my list of visited countries that I keep track of, but does not have many of the ‘normal’ traits associated with country status, such as membership in the United Nations. After a short drive through the minefields (we stayed on the road, of course,) we entered Bosnia-Herzegovina proper, and our destination for the night, the storied city of Sarajevo. 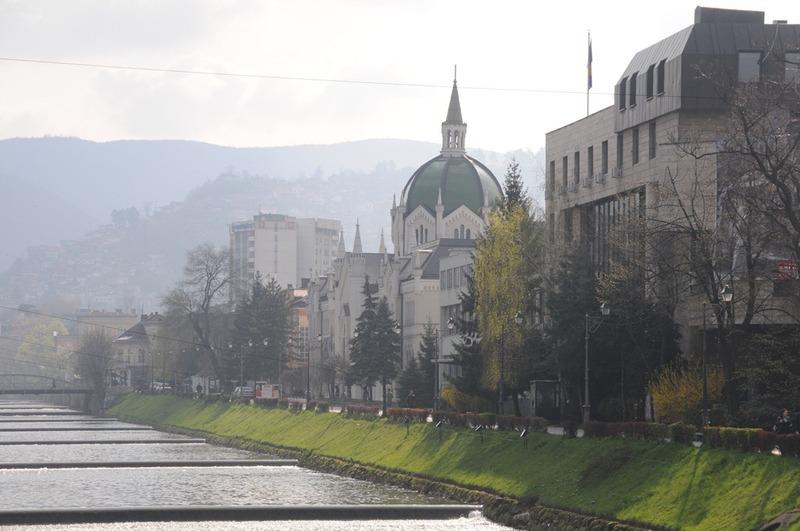 Sarajevo sits in a beautiful valley, is surrounded by lovely hills, and is bisected by a pleasant river, the Miljacka. 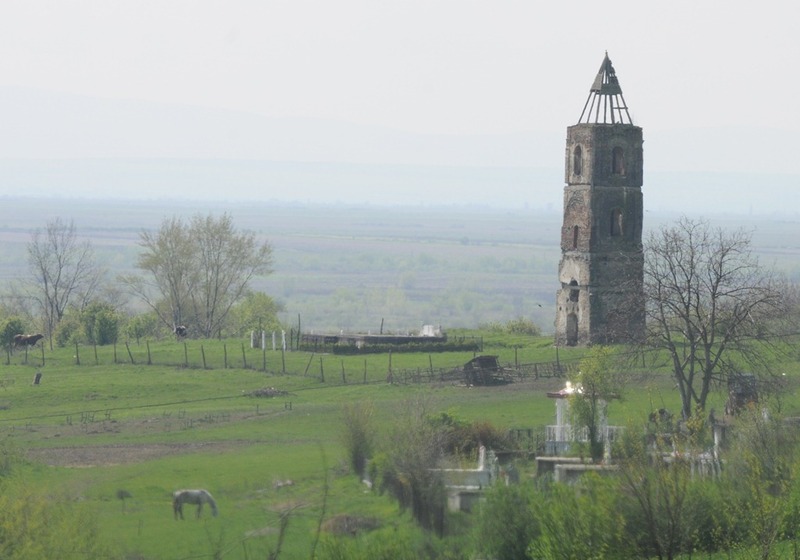 It also, unfortunately suffers the scars of a devastating and prolonged four year siege in the early 90’s during the Bosnian War. And when I mean scars, I mean scars…nearly all buildings still standing from that era bear the marks of the artillery bombardment that took place here. You also don’t have to look far to find destroyed buildings and even the remnants of destroyed bobsled and luge runs from the 1984 Winter Olympics that were held here. 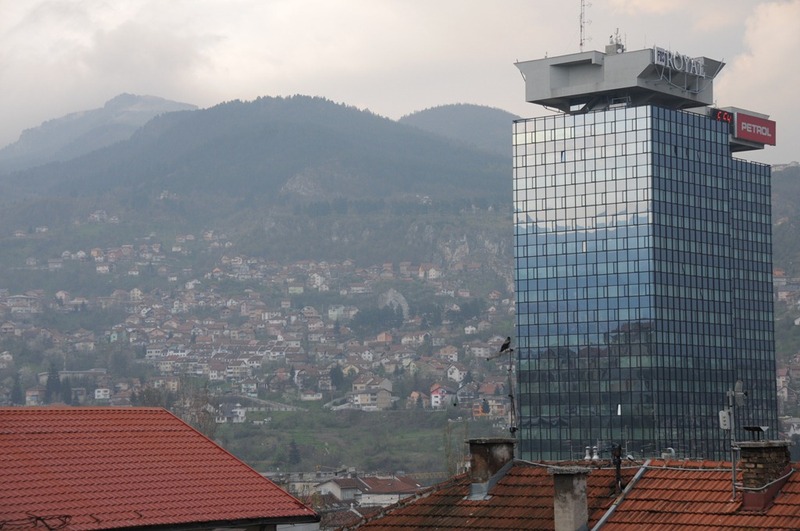 Despite the recent raw memories of war, the people of Sarajevo are quickly moving ahead with post-war reconstruction, and are understandably proud of their multi-cultural and ethnically diverse city. We all agreed after the trip that Sarajevo was the most interesting place we visited, partly because of the fresh history of conflict but also on account of the spirit of hope that hung in the air here, evident in how the people recovered from the horrible memories of the war. While Sarajevo is infamous as the location of the assassination of Archduke Franz Ferdinand of Austria that started World War I, the Yugoslav Wars were different in that they were an event that we all watched take place on television. To visit a place that was at the heart of the conflict, and to see and talk with the people that were there to witness it was an extremely moving experience. 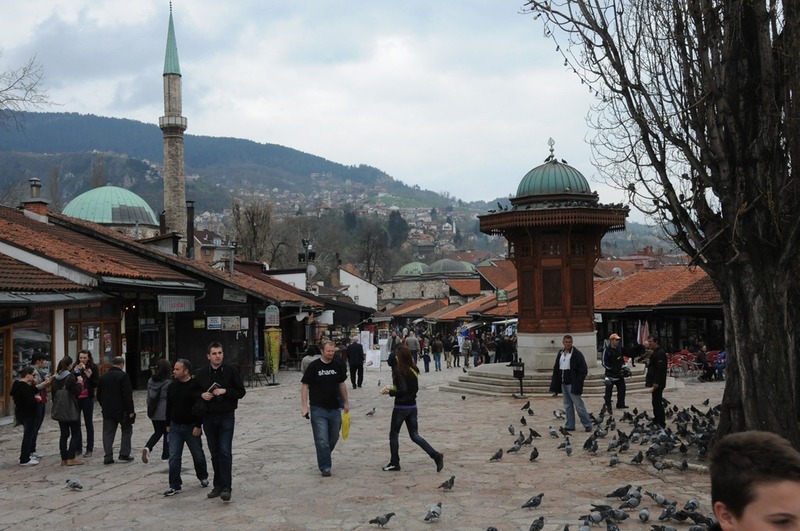 And at the same time, Sarajevo itself is a beautiful city in its own right. It has majestic natural beauty combined with a very strong cultural vibe. All in all, we greatly enjoyed our time wandering the streets of the old town, enjoying the local food, and chatting with the residents of this lovely city. After our time in Sarajevo was over, we drove southwest into the Herzegovina portion of Bosnia-Herzegovina. This entire area bears the impact of the time under the Hapsburgs as well, in particular the numerous railway viaducts and tunnels crisscrossing the region. 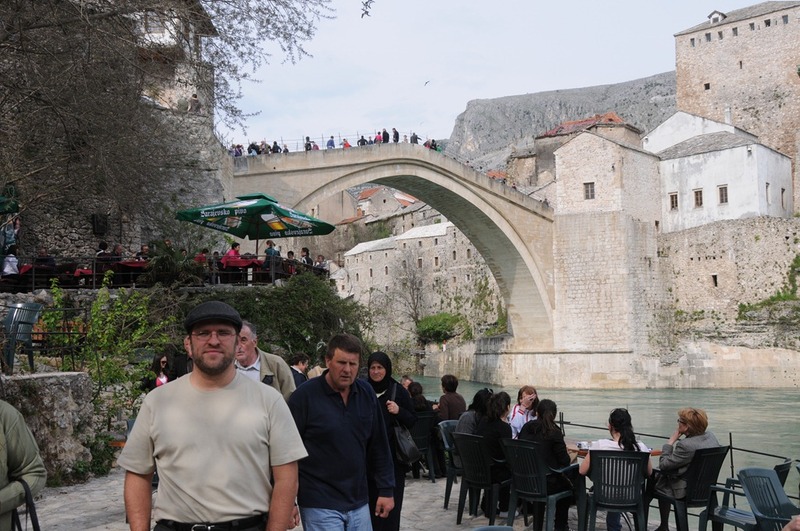 Later that day, we arrived at the most picturesque and largest city in the Herzegovina region of Bosnia-Herzegovina, Mostar, home of the famous Stari Most, or Old Bridge. The Stari Most was originally built during the 16th Century by the Ottoman Empire, the rulers of this area at the time. Suleiman the Magnificent commissioned the bridge in 1557, and after nine years of construction the bridge became the widest man-made arch in the world. 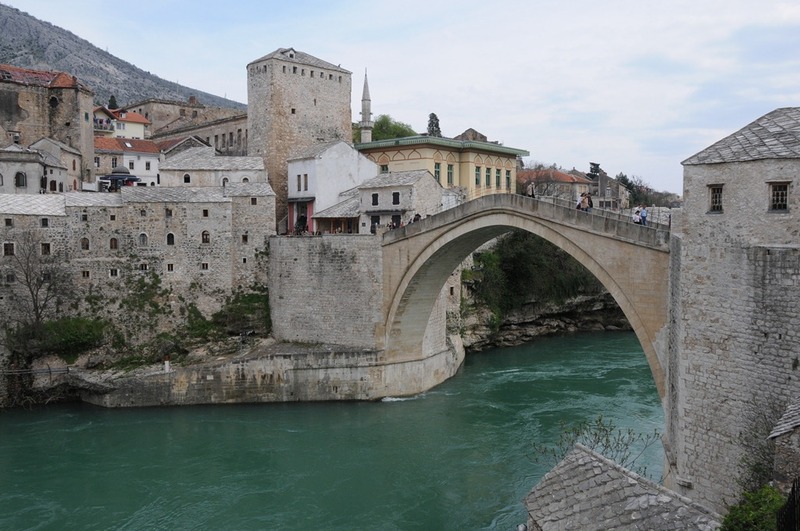 Sadly, the original bridge was destroyed by artillery fire in 1993 during the Bosnian War. Large chunks of the original bridge can be viewed directly downstream, and a plaque on one of the pieces chides the folly of those who destroyed this magnificent architectural monument. The silver lining to this story was the fact that, years later, a decision was made to reconstruct the bridge to the exact specifications of the original bridge, using the same materials, and using as close to the same process as was originally used. Three years later, the newly reconstructed bridge opened in July 2004. The bridge is a marvel to see and to walk across, and provides for great views of the multi-ethic and religiously diverse city of Mostar. 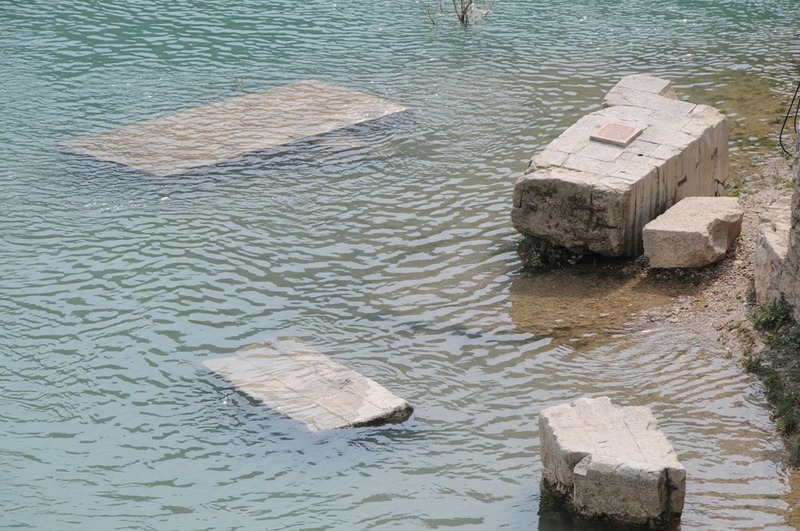 The fact that it was rebuilt after such as calamity is a tribute to the people of the region as well and a sign of the rebuilding of the area as a whole. 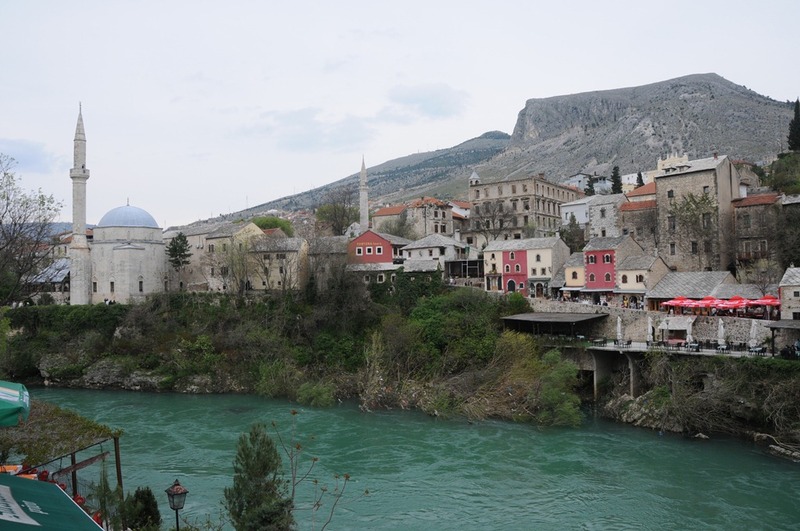 After our visit to Mostar, we drove through Bosnia-Herzegovina toward the Dalmatian coast. An additional note on the politics of this region…while there is one common language, usually known as Serbo-Croatian, or Bosnian/Croatian/Serbian (BCS,) it is either written in Cyrillic script or in Latin script, depending on where you come from. Serbs and those of Eastern Orthodox faith traditionally use the Cyrillic form, while the Croats (traditionally Catholic) and Bosniaks (traditionally Muslim) use the Latin form. Since both Cyrillic and Latin are official scripts in Bosnia-Herzegovina, the road signs have both forms listed to describe place names. You can always tell what the allegiances of an area within Bosnia are depending on which script has been ‘crossed out.’ For example, on the sign below, the Latin script was the clear winner, thus you can quickly determine that it is a Bosniak or Croat region. After we reached the Dalmatian coast and returned into the nation of Croatia, we took a night detour down the coast and to the newly independent country of Montenegro, specifically the town of Herceg-Novi. It was there that we spent the evening on the shores of the Adriatic Sea, before heading back to the Croatian coastal city of Dubrovnik for the night. 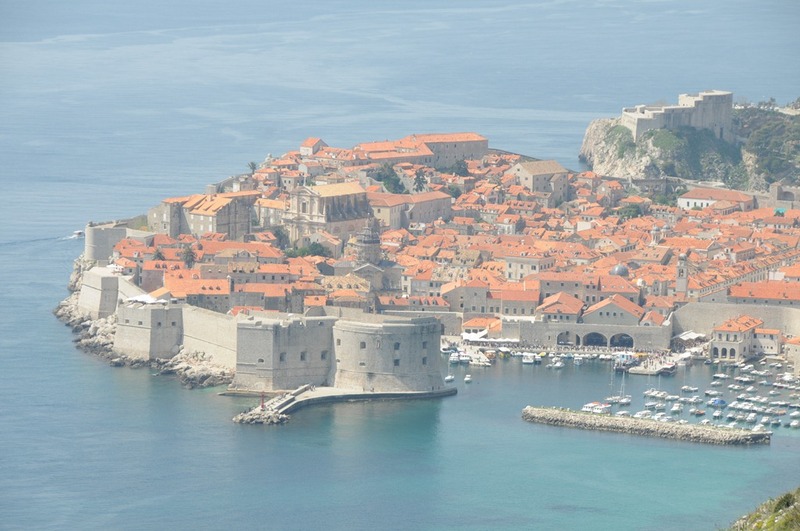 As far as cities go, Dubrovnik has it all. Deep port on a beautiful sea, city walls for protection, beautiful architecture, great food, and warm friendly people. Indeed, Dubrovnik is how much of the world sees Croatia as it is the most common cruise port destination in that country. And what a destination it is, you’d be hard pressed to find a more beautiful city. 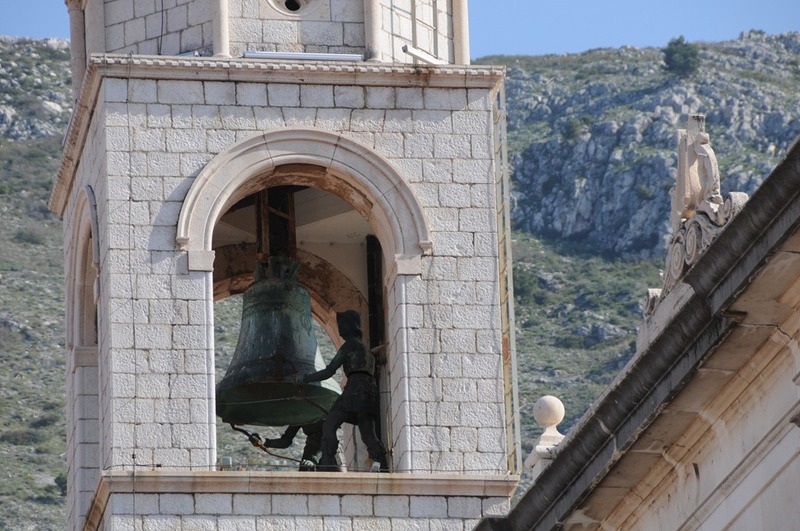 Even beautiful Dubrovnik was not spared during the Yugoslav Wars, however, as it was shelled from the surrounding hillsides for a period of three months. 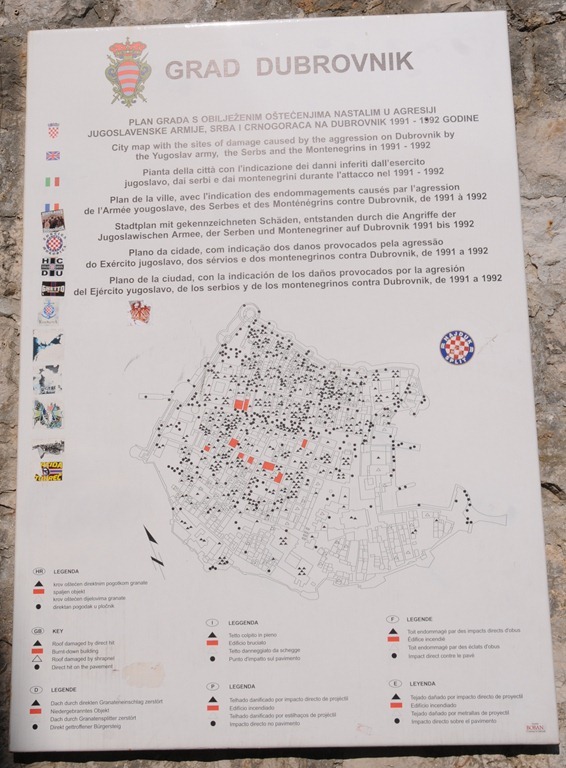 Immediately after entering the gates of the city you can find a map that displays all of the locations in the city that were directly hit by artillery shells during the conflict. Surveying the beauty of Dubrovnik was somewhat bittersweet for us, however, as at this point in the trip we found out that our flight to London was cancelled on account of the ash cloud, and that we would need to figure out alternative methods of travel to get home. Now, granted, there are worse places in the world than Dubrovnik to be stranded in the midst of a continental travel stoppage, but at the same time we all collectively came to the agreement that we would make the attempt to actively get home as soon as we could, by moving in the general direction away from the ash cloud, namely to points in Southern Europe or potentially Northern Africa. 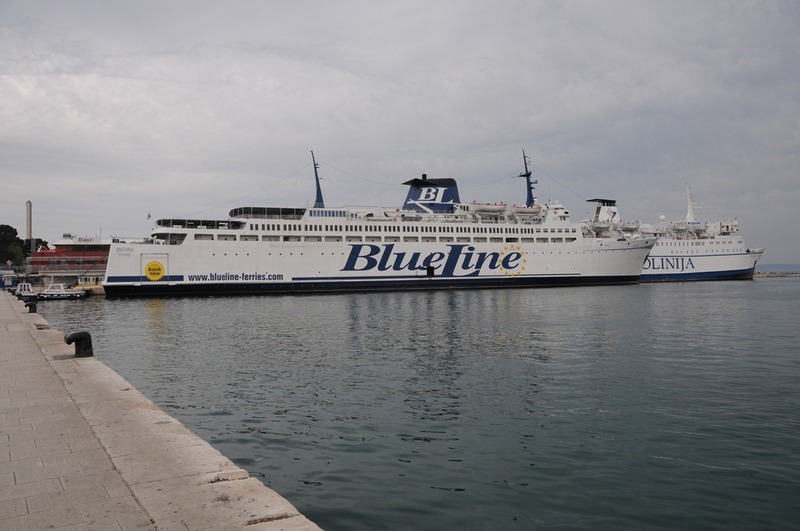 Toni pointed out that there was a regular ferry that left from Croatia to Italy every day, but that it left from the city of Split further north, so we collectively decided to make our way up to that city to start our journey out of Europe. Now Split, Croatia, is a beautiful and historic city in its own right, and it fully deserves to have more time spent exploring it than we were able to spend. We did, however, manage to visit the most famous sight there, Diocletian’s Palace, built by the Roman emperor Diocletian back in the fourth century. 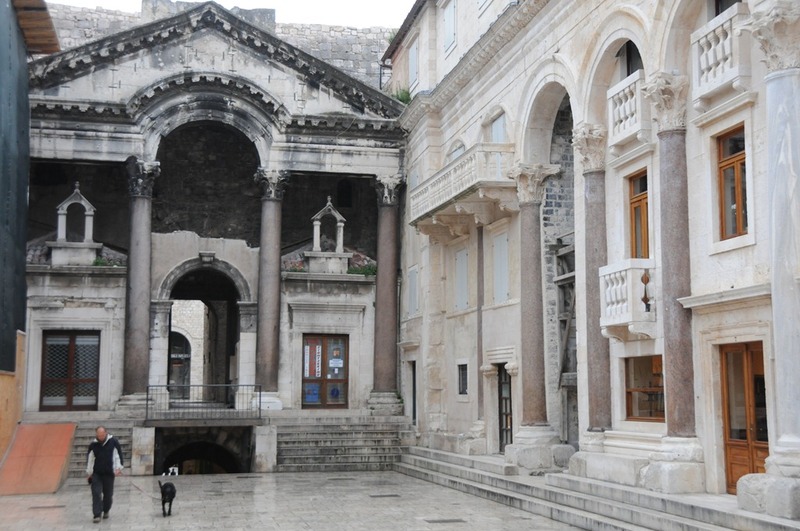 What makes Diocletian’s Palace unique is that the residents of Split have occupied much of the palace itself, and so the ruins themselves form somewhat of a living museum to the 1700 year old palace. 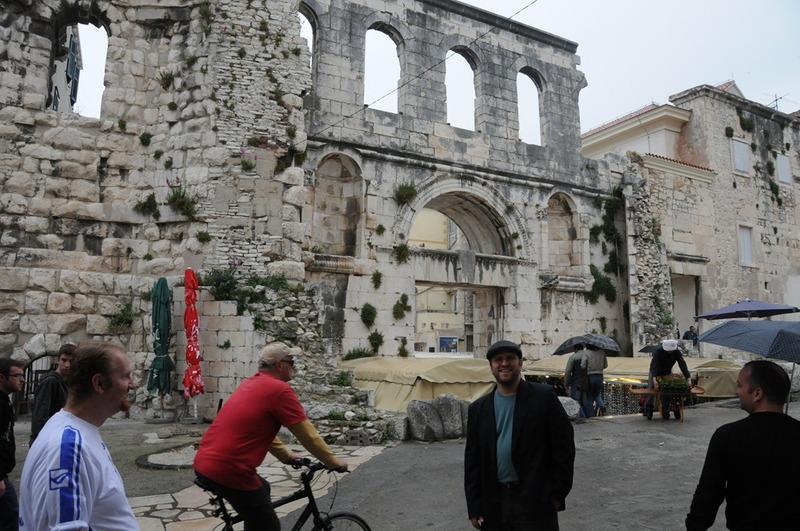 We spent some time wandering through the remains of the palace and the encompassing city of Split before heading to the port for our ferry ride to Italy. Our journey across the Balkans involved an inordinate number of border crossings, more than we experienced on any one trip. To make matters even more complex, every crossing apart from the IEBL ones required us to go through full border procedures. This meant full checks on the car and fresh stamps in every passport. Needless to say, we burned through several passport pages each on this trip. This entry was posted in Europe & Mediterranean. Bookmark the permalink. Republika Srpska is not quasi-independent country. It is one of two entities in Bosnia and Herzegovina, something like US state. B&H is federal country, with two entities Republika Srpska and Federation of Bosnia and Herzegovina and one district: Brcko district. Both Republika Srpska and Federation have their own governments and assemblies. There is also one common assembly and Council of Ministers at country level. Thanks for the comment Dragan and the additional information. Noted that Republika Srpska is not its own country, but it does differ from a US state in that it defines itself as “territorially unified, indivisible and inalienable constitutional and legal entity that independently performs its constitutional, legislative, executive and judicial functions.” In any case, my point was that it is defined as a unique ‘entity’ by the TCC, which is a list of political entities that I loosely follow when counting places I’ve been to. To be fair, the TCC also counts Hawaii and Prince Edward Island as separate entities as well, so it’s a fairly broad definition. But, in reality, RS is part of Bosnia and Herzegovina, so there is no real “border” between RS and second B&H entity named “Federation of Bosnia and Herzegovina”. We have passports of Bosnia and Herzegovina. So, actually, you entered into Bosnia and Herzegovina on border crossing “Orasje” and exited in Metkovic. We’re talking about the same thing, effectively, I’m simply referring to us crossing the Inter-Entity-Boundary-Line (http://en.wikipedia.org/wiki/Inter-Entity_Boundary_Line) that exists between RS and B&H. While there is no border checkpoint, there is a border, and I noted that there are even signs announcing your entry/exit between the two, for example (http://www.panoramio.com/photo/39487180). Again, this is mostly semantics, as the only reason I mention it is because both political entities within B&H are counted separately according to the list of countries/entities that I follow. Pingback: Bosnia & Herzegovina, Croatia, Serbia Treasures of Europe: Beauty & Beast | Traveling Epic – the way to travel! Reading the other comments on Republika Srpska is fascinating. Great to hear from Dragan as well. Hope to connect some time and speak in Most, Bosnia at the SharePoint event. Michael, an interesting read! 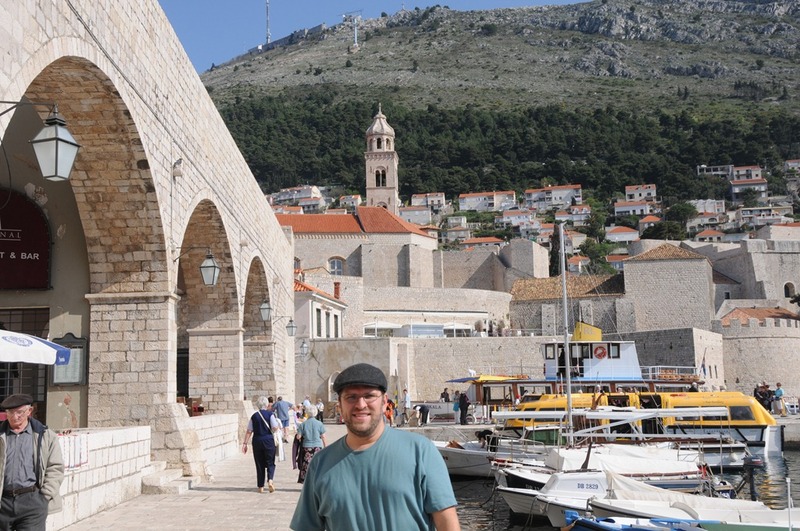 My husband and I are currently in Trogir, Croatia, and contemplating a return to Montenegro and Bosnia-Herzegovina. (When we last visited, we were rather short on time, and now we have more.) Albania and Serbia also seem like wonderful, more off-the-beaten path locales. How much time did you spend in the region in all? Hi Tricia, I visited the region several times, but the tour referenced in this post was taken over the course of a week. I would highly recommend more time though of course! Some of my favorite places in the region include Sarajevo, Mostar, Sofia, Dubrovnik, and the Istrian region of Croatia (see my other post on that area.) 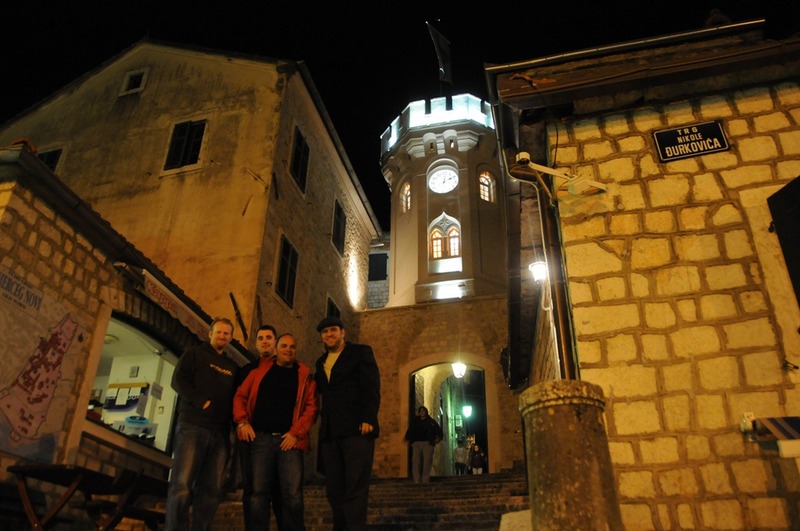 But every region I visited in the Balkans was amazing…great food, wonderful people, and a vibrant culture. Enjoy!